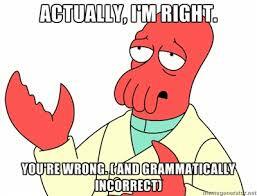 Some people think that Yu Darvish is an ace. Some people see that he isn’t. Everyone has been trying to prove themselves right or wrong. I’ve watched a lot of baseball during my 31 years on earth. Specifically, a lot of Texas Rangers baseball. 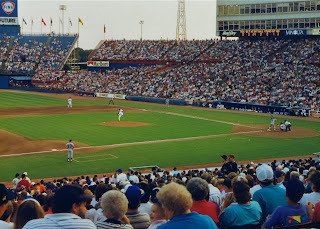 I began my odyssey as a Texas Rangers fan on Baseball Glove Night at Arlington Stadium in the late 80’s. 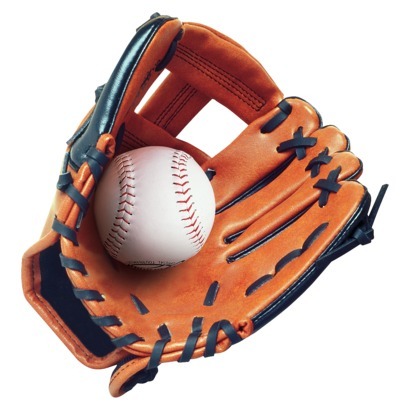 That cheap plastic glove was my prized possession for however long it took for it to fall apart under the strain of countless backyard games of tape baseball. In my mind that plastic glove was as durable and sturdy as any leather version that could be purchased from the local sporting goods store, and it was free! My eyes told me it might not stand up to the pounding I was planning to put it through, but I hoped my mind would be correct. It took about a month to prove my eyes the victor. 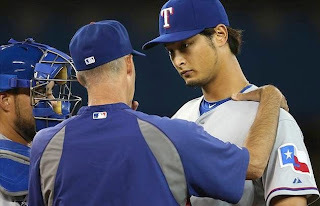 Last Saturday, a Yu Darvish blown lead and an impassioned sound off from Eric Nadel sent the media, commentators, bloggers, and fans on a frenzied investigation into defining what an ace is and if Darvish fits that definition. In that time the staff at SDI; particularly Eddie Middlebrooks, Peter Ellwood, and guest contributor Levi Weaver, took their best shots at addressing Nadel’s (and others) concerns, with varying results. Nadel went onto the airwaves of the Ticket yesterday as a guest on the Norm Hitzges Show and clarified his stance, alluding to an article on Lone Star Ball that would prove him correct. Then today, Adam J. Morris countered that piece from his staff (and Nadel’s response) with his take on Yu’s “struggles” in close games and the relatively small sample size being used to judge him with. Everyone of these pieces are wonderfully researched, well written, and leaves the readers with a little more information both for or against whatever side of this argument they’ve found themselves on, but my conclusion is that this is an answer that can’t be determined in a week's time (something Morris highlighted in his post). In two seasons as a big league pitcher, Darvish has produced a few conflicting results. He has had fewer successes in shutdown innings in 2013, converting 68% of the time instead of the 73.3% of times he converted in 2012 (courtesy of Brad from Lonestarball.com). Yet he’s having far more success in high leverage situations (situations that have the greatest effect a game’s outcome according to baseball-reference.com), allowing a run in every 5.9 chances this year as opposed to every 3.7 chances in 2012. When Darvish leaves the mound tonight he will do so having furthered this conversation one way or the other. Twitter will be filled with supporters from both sides, with one party claiming a victory of some sort depending on the outcome. Until the next time that eyes tell their mind something different. 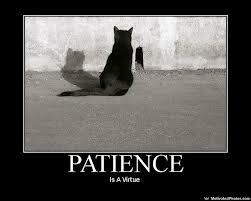 Though, for me there is one thing I know for certain right now. I’ll think back over 20 plus years of watching Rangers pitching, and I will see a starter with more talent in his arm than anyone else I can remember, and someone who will be around a heck of alot longer than that flimsy glove I cherished so much a few decades ago. I can confidently wait a little longer on the proof.